(AP) NEW YORK - Barnes & Noble (BKS) says its fiscal fourth-quarter loss narrowed as the company continues to invest in its Nook e-reader business. Nook sales fell during the quarter as the company took back its Nook Simple Touch e-reader from retailers to make room for new inventory. 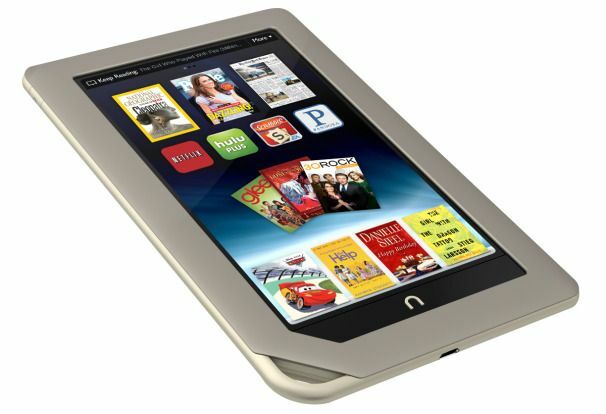 It is the first quarter Barnes & Noble has broken out actual sales of its Nook device. The largest U.S. traditional book retailer says its loss in the three months ended April 28 totaled $57.6 million or $1.08 per share. That's smaller than its loss of $59.4 million, or $1.04 per share, a year ago. Analysts expected a loss of 92 cents per share. Revenue was nearly flat at $1.38 billion. Analysts expected $1.48 billion. Retail sales rose 5 percent to $1.05 billion. Nook sales fell 11 percent to $164 million. Its shares fell 4.8 percent in premarket trading.